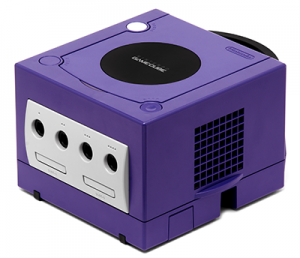 The GameCube is a console created by Nintendo in 2001. It is noted and praised for its quirky and innovative game library, and for its unique controller. The GameCube uses DVD-based technology, which generally would mean that files are visible from a disk through any standard ISO viewer or by inserting the DVD into your computer's disk drive. However, Nintendo specifically designed their disk drives to read files in a unique manner, making the reading on GameCube game's disks require a special piece of software. There are a number of tools available. It's possible to read the files from a GameCube ISO through the Wii/GameCube emulator, Dolphin. Click on "Options", and then "Graphics Settings" from the drop-down menu. Make sure you have the right graphics card in order to view the game. In the Graphics Configuration window, click on the "Advanced" tab, then check the "Dump Textures" box. Close the window, then select and launch the game you want to rip from. Play up to the point that has the sprites or textures you want to rip. Once you get everything you need, close or pause the game. Now go to Documents\Dolphin Emulator\Dump\Textures\[game ID]. View files by Large Icons or Extra Large Icons, and sort by Date Modified. This will help you find what you need easier. This page was last edited on 8 April 2015, at 13:08.